Thieves stole $70,000 of gear from producer/engineer Tucker Martine; now friends are stepping in to help with a benefit show in June. Producer/engineer Tucker Martine was in the process of building the latest incarnation of his long-running Flora Recording Studio when the facility was hit by burglars last month. The thieves took an estimated $70,000 worth of prized microphones, guitars and amplifiers. A mainstay of the Northwest recording scene for decades, Martine has worked with numerous top acts, and now one of them, The Decemberists, is returning the favor with a benefit show scheduled for June 3 at Portland’s Crystal Palace. All proceeds from the show will go to Flora; also on the bill are Blind Pilot and “more as-yet unannounced guests.” Those who would like to contribute to Martine and Flora in a different way can use a GoFundMe page that’s been set up for them. Local musician Aaron Meyer brings the 40-50 minute assemblies that focus on music, history and science to various sites as part of his nonprofit music education program, “Aaron Meyer Music in the Schools,” in conjunction with Oregon Music Hall of Fame. Meyer and Oregon Music Hall of Fame “both want more music in Oregon schools, and we try to visit schools that don’t have music or the students come from lower-income families that might not get opportunities like this outside of school,” Meyer said in an email last week. This April, he’ll visit every Hood River County School District site minus the high school — he’s still working on setting that one up. He’ll be at Hood River Middle School and Wy’east Middle School on April 17, and will finish up April 19 at Cascade Locks, May Street and Westside elementary schools. Parkdale and Mid Valley were the first of the district schools to host the assemblies. At his assemblies, he demonstrates the similarities and differences between classical and rock music, and integrates musical history and the properties of physical science that produce the sounds. Kim Yasui, Mid Valley Elementary principle, said Meyer left her students eager to learn more. Yasui said Meyer also talked to the students about the importance of practicing and being willing to make mistakes. “The opportunity to hear and see a musician with such skill and connection with students left many of our students wanting to learn more,” she added. “I try to sneak in some of the classroom content without the kids really knowing that it’s in there,” Meyer says on www.aaronmeyer.com, where he has a short video explaining the music assemblies and the concepts he covers. And while he does connect the dots between music, science and history, the point of the assemblies is to have fun while doing so. He began his program in 1998 and has consistently presented since then. His upbringing may point to his interest in teaching. Meyer is the son of a well-known violin teacher from Philadelphia. His father, Julian Meyer, “was a very active private violin instructor for young people, who taught seven days a week for 40 years. He taught thousands of young people, starting many of them from scratch,” he said. Meyer also has an annual benefit concert for the United Way each December. This year’s concert, already planned for Dec. 15, will be his 10th. NEW YORK, NY (November 20, 2018)– Multiplatinum-certified Portland, OR rapper Aminé shares the remix for his latest single“Blackjack” featuring YBN Cordae. The song is available on all digital retailers now viaRepublic Records. 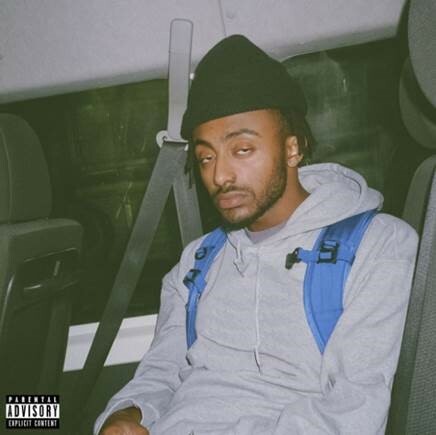 Aminé is currently on the European leg of his soldout headlining tour–TourPointFive in support of his EpLpMixtape Album entitled, ONEPOINTFIVE. See the remaining tour dates below. Every once in a while, an artist comes along and rewrites the entire rule book for a genre. That’s exactly what Aminé did with“Caroline” in 2016. Taking rap to a new frontier, it earned an RIAA 4X Platinum plaque as he delivered a kinetic performance of the anthem onThe Tonight Show Starring Jimmy Fallon between constant touring.“REDMERCEDES” and its high-profile official remix with Missy Elliott and AJ Tracey saw him lap the competition yet again as his full-length debut Good For You went gold and set the stage for even bigger things to come! Lex Browning was born and raised Maysville, Ky, a small town on the Ohio River where the Browning family has lived since 1820. As a child he fell in love with the local bluegrass and country music being performed and at age 7 successfully begged enough to get a guitar for his birthday. He and his brother Christopher were performing on local radio stations by the time Lex was 9. By age 11 he had wheedled a banjo out of his grandmother and soon incorporated that into the family band. The family sang at home and at church and grade school and after hearing Bob Dylan and the Beatles Lex was writing his own songs. He attended Reed college in Oregon where he was far more interested in playing music than studying so he picked up mandolin and fiddle. A year off spent performing in Gatlinburg Tennessee convinced him to become a professional musician. Gigs with many local bands soon followed as did a stint as fiddle player for Queen Ida the zydeco accordionist for whom he wrote the song “C’est Moi (which has been featured in the Scottish independent film, “Road to Lafayette); then came the move to Nashville where he was member of the band Great Plains, a staff songwriter, session musician and fiddle player for Tanya Tucker, Pam Tillis, and Trace Adkins. He has also worked with Kenny Rogers, the Nelson twins, Quarterflash, and many other musicians of note. Returning to Portland, Lex quickly resumed work with his old friends from the Holy Modal Rounders (featured In the film Easy Rider)and continues working today with the Freak Mt Ramblers, Jenny Conlee-Drizos and Troy Stewart of the Decemberists and as a solo singer/songwriter. He was a founding member of the Trail Band and has appeared on countless albums as well as his own solo venture “Good Rain”. A new project is in the works. Lex and his family have moved to Tucson where he performs with Winfield Flatpicking champion Peter McLaughlin, The Tusconics, the Sonoran Dogs, Greg Morton and his own solo show every Friday night at La Cocina. October 15, 2018. Portland, Oregon– Grammy award winning rockers Portugal. The Man, who recently won awards for both Album of the Year & Artist of the Year at the Oregon Music Hall of Fame, have released the new music video for their latest single, “Tidal Wave,” from their Gold certified eighth studio album, WOODSTOCK. The video is an impressive claymation sensation created in collaboration with creative agency Wieden+Kennedy. The use of claymation counteracts the upbeat tempo of the song, making it possible for the band members to become gradually more and more distorted as the song progresses. The work of renowned British animator Lee Hardcastle and his “claymation that’s not for children,” lends a distinctly dark, but humorous vibe to the video. This is W+K’s sixth music video for Portugal. The Man, who earlier this year help launch the band’s eighth full-length studio album, WOODSTOCK, and created the videos for hit singles like Rich Friends, Live In The Moment and their multi-platinum, Grammy-winning single Feel It Still. Beyond videos, the collaboration has also included everything from designing shirts for their late-night appearances; to custom strains of marijuana designed to be smoked while listening to the album; and projected graphics for concerts and festivals. Catch Portugal. The Man, who on tour in Anchorage, Alaska on October 26 & 27. For additional news and information, please visit PORTUGALTHEMAN.COM and ATLANTICRECORDS.COM. http://www.omhof.org/wp-content/uploads/2012/11/omhof-logo.png 0 0 Alex Steinenger http://www.omhof.org/wp-content/uploads/2012/11/omhof-logo.png Alex Steinenger2018-10-15 16:42:482018-10-15 16:42:48PORTUGAL. THE MAN RELEASES NEW MUSIC VIDEO FOR "TIDAL WAVE"
The 12th annual Oregon Music Hall of Fame induction & concert will be held this Saturday, October 13th at Aladdin Theater. Performances by The Kingsmen, Ural Thomas & the Pain and Monti Amundson. This Years Inductees include Monti Amundson, Dan Eccles, Freak Mountain Ramblers, The Rats, Andy Stokes, Ural Thomas, Dover Weinberg, Dennis Carter, Ed Doughterty, KISN Good Guys and Michael & Peter Mott. Doors at 6 pm, show at 7 pm?. Aaron Meyer and 3 of his students, will also be performing. The 12th Annual Oregon Music Hall of Fame (OMHOF) Induction & Concert will be held on Saturday, October 13th at 7pm at the Aladdin Theater. The concert will feature performances by The Kingsmen, Monti Amundson Trio and Ural Thomas and the Pain. Tony Starlight will MC the event which will feature a live auction of autographed guitars including: Willie Nelson, Jackson Browne, Adam Ant and Echo & the Bunnymen. Proceeds from this event help support our music education, scholarship programs, and inductions. Dover Weinberg grew up in East County and was just playing for himself and giving lessons when bassist Dave Kahl coaxed him onto the stage. After some time at Mt. Hood Community College, he hit the road with a number of Northwest bands. Dover came on board with the Eugene-based Robert Cray in the late 1970s. Though not always in the band, Dover’s corner of the Robert Cray groove goes back 40 years. In between he has played and recorded with many local and national Blues greats: Albert Collins, Charlie Musselwhite, Coco Montoya, Duffy Bishop, Paul Delay and Lloyd Jones. Dover has a wicked sense of humor, great Groucho Marx sendup and humbly jokes that his resume makes him “look like he can’t hold a job,” but Dover is the kind of player that makes anyone who shares a stage with him want to raise their game. He is currently performing and recording with the Robert Cray Band. Dennis Carter started playing drums at the age of 11, continued in Big Bands and Blues. In 1981 he and Dave Lohr formed Falcon Recording Studios, which has since grown into 4-room facility, combining both new and old technology. Flacon’s client list is large and long and includes: Linda Hornbuckle, Terry Robb, Mel Brown, Lloyd Jones, Bernard Purdie, Obo Addy, Tom Grant, Robben Ford and many others. He most recently oversaw Curtis Salgado’s collaborative project with guitarist Alan Hager called “Rough Cut”–nearly 20 years since Portland’s harmonica great recorded his first album there, with his band, the Stilettos. Dennis Carter still finds time play drums with Terry Robb’s trio but his time at Falcon Studios has made Portland a great place for musicians to record. In the 1980s, a vibrant array of downtown nightclubs featured live music. Michael and Peter Mott were the brothers with sister, Susan, who ran the Last Hurrah in sprawling basement at 6th and SW Alder. From 1975 to 1987, the club-hosted local bands seven nights a week with a policy that a certain percentage of the music had to be original. Promoting a wild variety of styles the club featured: Billy Rancher, Cruise Control, Burnside Bombers and a long run of Tuesdays with the Rasco Brothers. Michael was the executive producer for early albums by the Rascos, Johnny and the Distractions and Nu Shooz. Most nights were well promoted and filled to capacity. One night John Entwistle of the Who sat in on bass with Portland’s Dan Reed Network. After the club closed, Peter was known for his work on Bud Clark’s Mayor’s Ball and the Rose Festival. Michael Mott returned to his love of golf, at Nike’s golf division for 25 years and recently… playing more golf. Before the heyday of FM radio, there was a powerhouse Top 40 station in Portland that broadcast at 910 on the AM dial. From 1959 to 1976, when the FCC shut them down, KISN ruled the AM dial like no other station in Portland: at times capturing a whopping 86% of the listening audience. The station played Pop, R&B and, of course, Rock’n’Roll. The DJ’s collectively became known as’ The KISN Good Guys.’ The crew included larger than life personalities like the ‘Real’ Don Steele, Pat Pattee, ‘Tiger’ Tom Murphy, Dave ‘Records’ Stone, Roger Hart, Rod ‘Kangaroo’ Muir, Tom Michaels, Robert ‘Addie Bopkins’ Atkins, Ken Chase, Mike Phillips, Roger W. Morgan, Roger Adams and Buddy Scott. KISN was known for a trademark blend of high energy, tongue-in-cheek antics, like the famous sign that greeted everyone at PDX “Welcome Home….We’ve been KISN your wife.” Recently, Dave Stone, good friend “Dirty Dave the Record Slave,” station historian Craig Adams, and technician Scott Young have brought the great station back to life as KISN FM 95.1. Ed Dougherty was a math teacher at Waldo Middle School in Salem back in the mid 1960’s when he began to hear students complaining that there was “nothing to do in Salem at night and on the weekends.” He organized a dance at the local Knights of Columbus Hall. Admission was 25 cents and the hall was big enough for 250 people…. and 500 teenagers showed up ready to rock and roll. That was Ed’s introduction to concert promoting. He was responsible for bringing big name acts like Sonny and Cher, The Yardbirds, Steppenwolf, The Doors and Pink Floyd to the area, putting Salem on the musical map in the 60’s and 70’s. Over the years he and his companies, EJD Enterprises and his Concert Services Inc, booked the Oregon State Fair and fairs, conventions, corporate and special events up and down the West Coast. He served as president of the Salem Chamber of Commerce and Salem Convention and Visitors Bureau. Governor Tom McCall appointed Ed to the Oregon Film Commission, where he was instrumental in bringing filming of One Flew Over the Cuckoo’s Nest to Oregon.